When Jim was on a job for the IRA there was usually blood spilt. Remarkably despite all the actions he was in, it was never his own. Conroy had a spectacular military career spanning the Rising, Tan War and Civil War. Out in 1916, he was imprisoned afterwards. A few years later he was a Squad member who took part in most of their famous escapades. He was the only IRA man at the Custom House to cause a fatal casualty. During the Civil War he was present at the scenes of the deaths of two famous Free State figures; and brought a gang to threaten his own father with death. Perhaps it should not surprise us that his father was baptised in a place named Kill? However, all that fame and notoriety ended in some disgrace as Jim became the main suspect in the murder of a Jewish civilian in Dublin, was refused a military pension and fled to the Americas. Yet he later returned; managed to secure his pension; was in the Blueshirts; and then lived for many decades in the USA without further controversy. Sounds a definite ‘bad boy’ story. But rather than just pick out the juicy bits we will try to look objectively at his overall life and times. Jim’s father was born in 1870, shortly after the Fenian Rising. Whether that had any influence on him later is unknown. But, over 20 years after moving to Dublin from his native Co Kildare James joined the Volunteers (F Coy, 2nd Batt, Dublin Brigade) before 1916. He’d married in 1893 when living in Stephen’s Place, Dublin. His bride was Anne Maria Nolan, daughter of a coachman from Brunswick Street (now Pearse), near Westland Row. They had their first child, a girl named Emily, while residing there and moved to nearby Pile’s Terrace on Boyne Street – next to what’s now coincidentally named Fenian Street! During their years there Jim, officially named James Patrick, was born in the famous baby factory Holles Street Hospital on 12 March 1898. As a young lad he must have inherited his political views from his father, who worked as a painter in Dublin. Growing up as oldest son young James not only carried his dad’s name but was destined to follow him, both in his trade and his active nationalism. By the way, some other Dublin Conroys who featured in the Volunteers, IRA IRP and National Army – including Herbie & Isaiah – have been connected to Jim’s folks, but the writer cannot find a family link. By 1911 Jim’s Conroys had moved northside to 14 Richmond Parade (beside the Royal Canal close to Croke Park) and he was recorded there as a 13 year-old schoolboy with one older and one younger sister and 4 younger brothers. At Easter 1916 both James Conroys mobilised with F Coy from Fairview Park to the GPO and James Senior went on to the Mary’s Lane area where he was wounded in the fighting yet did not quit and was involved in subsequent adventures. But we will leave the older Conroy for the moment and look at what the son did. Jim had joined the Volunteers in 1914 and claimed he was involved in the Howth Gun-Running. On Easter Monday he was in action against British troops at Wharf Road, East Wall before taking part in the fighting in Sackville (O’Connell) Street in the Imperial Hotel, Dublin Bread Company and Hibernian Bank outposts. He was arrested at the Surrender and kept in Arbour Hill Detention Barracks for two months before being released and reporting back to F Coy. He joined the fight in the early stages of the Tan War and was selected for the Squad. Hopefully the Reader will get a flavour of Conroy’s actions from the following quotes by referees on his military pension file. Paddy O’Daly: “[Conroy] was involved in the general weeding out of His Majesty’s forces in Ireland. Parliament Street and Mount Street [Bloody Sunday] as samples. A real good “Murderer” of the period“…… “Conroy was one of the best men we had in the Guard“. Tom Ennis: “In my opinion this is one of the few bona-fide applicants. Very good IRA record“. Bill Stapleton: “This man took part in almost every ‘job’ of importance since 1916″. On Bloody Sunday the target for Conroy’s IRA unit was not at home, but in 1921 Jim got several opportunities to use his gun. During lunchtime on 23 February at Parliament Street Conroy with the Squad attacked three RIC men returning to nearby Dublin Castle, apparently an attempt to get some of the Igoe Gang. Two policemen died at the scene and a third expired in hospital that night. On 14 May Conroy was on another famous job – the capture of the armoured car at the Dublin City Abattoir. The plan demanded no gunplay there in case nearby Marlborough (now McKee) Barracks was alerted. Yet Conroy still managed to shoot two British soldiers who resisted, killing one. Despite that, the IRA succeeded in proceeding with the daring attempt to break Sean MacEoin from Mountjoy Jail that morning. Eleven days later during the initial stage of the Custom House attack, it was Conroy who shot and mortally wounded Frank Davis, House Keeper of the building, when the old man tried to get onto the roof to signal for help. He explained to his victim’s wife her husband had been “an old soldier up to his tricks” [See also comment below by James McCormick]. In the aftermath Jim became one of those arrested and was very fortunate his action was not learned of by the Auxiliaries or he may have been shot on the spot. He was also lucky Mrs Davis could not identify him. Like his comrades, he then spent over 6 months in Kilmainham Gaol – in his case using an alias we have not worked out. Early in 1922 he joined the new Dublin Guard and was commissioned as Commandant, O/C Castle Barracks, Limerick. He also served as O/C Marlborough Hall Barracks, Dublin and was O/C Baldonnel Aerodrome. During the Civil War Conroy fought in the south west campaigns. Incredibly he was at the scene of two notorious killings of Free State soldiers, the trap mine ambush at Carrigaphooka and the death of C-in-C Mick Collins at Béal na Bláth, both of which Conroy survived unscathed. Along with many other disaffected pre-Truce IRA officers in the National Army, Conroy became involved with the IRAO in early 1924. In the February Army Reorganisation (which was really a massive demobilisation and down-sizing) he was reduced to Captain rank. He was at the time O/C 5th Battalion, Special Infantry Corps. Jim joined in the Mutiny which followed and in the fall out resigned from the Army on 29 March. Worse was to follow for Conroy and to cover that we need to take a step back to late 1923. Four innocent Jewish men were shot on Dublin streets on the nights of 31 October and 14 November. The events left two dead, created a sensation, seriously worried the Jewish community and caused the government to fear the horrific possibility of a sectarian murder gang at work. The first victims were Barnett Goldberg (42) a visiting Manchester jeweller and his Dublin-based brother Samuel, attacked by three armed men on St Stephen’s Green. Barnett died from gunshot wounds, his brother received a head injury. The killers left in a Ford car. Two weeks later the second fatality was Emanuel ‘Ernest’ Kahn, a young Dublin civil servant, shot multiple times on Stamer Street by two gunmen. Again, a man in his company, David Millar, was wounded but escaped to become a witness and said the assailants used a grey Ford car. Army cars were of that make and colour. Suspicion fell on three men, two brothers named Ralph & Fred Laffan – and Jim Conroy. The full story is beyond the scope of this post, but in December 1924 Raphael ‘Ralph’ Laffan, a taxi driver, was arrested for the Kahn and Millar shootings. He made written statements that his brother Fred (an Army officer) and Conroy were the shooters; and that Fred had gone to Mexico in mid-1924. Ralph Laffan, charged with killing Ernest Kahn and wounding Mr Millar, was tried and acquitted on the first charge and bailed to face the second. But he absconded to Mexico to join his brother. Despite Conroy’s alleged involvement in the murders being known to the authorities since at latest December 1924, a warrant for his arrest was not issued until April 1925, at which stage his whereabouts were unknown (He was probably in Mexico or USA). That was just one of a number of murky issues raised by the case. By 1932, the wanted man had been living in the USA for at least 6 years. Manhattan, NYC had been the location of his marriage to Sarah Eileen Myers, a fellow Dubliner eight years his junior, on 9 September 1926. The couple began a family and produced 2 sons, Edward and James. Early in 1932 the Conroys returned to Ireland. Jim had fallen out with Cosgrave’s Free State in 1924 and possibly believed Dev’s more republican new administration would be sympathetic to his case. However despite the authorities having concluded there was insufficient evidence against him for the 1923 murder, his pension was still withheld. He engaged a solicitor to begin legal action to secure payment and stayed living in Dublin. In February 1934 a law banning political uniforms was debated in the Dáil. This was the European fascist era and in Ireland O’Duffy’s Army Comrades’ Association (Blueshirts) were active. In his contribution Seán MacEntee (Fianna Fáil finance minister, Tan War and anti-Treaty IRA veteran) made statements about the motive behind the 1923 murders and alleged there had been connivance and a cover-up by the military at the time. He actually named Jim Conroy as the killer, adding he was walking free around Dublin as a member of the Blueshirts (Any Reader seeking more information can click here and here). The papers reported MacEntee’s revelations but did not include Conroy’s name. Nothing further ensued from the coverage and Jim and family remained in Dublin, apparently without trouble. His legal action finally resulted in a Supreme Court judgement in his favour; and in October 1934 he was eventually paid his accumulated 10 years arrears and received an ongoing pension of £210 a year based on 14 years service. Two years later Jim sailed from Cobh back to the States. He worked as a painter and he and family lived at Long Island, then Elmhurst, New York. A daughter named Margaret Sweet was born in 1938. Ten years later Jim applied for US Naturalization. His wife Sarah died in 1961 and two years later he moved to Connecticut. He retired to California in 1966 and wrote to the Dept of Defence that in the process he had lost his Service medals ‘of great sentimental value’. Conroy happily paid the fee of 10 shillings (95 cent now, no inflation allowed) for replacements. He made at least one further trip back to Ireland as this note on the back of the above photo with Old Dublin Brigade comrades shows (The venue was Sallins, the general area Conroy’s dad came from). Possibly the get together was around the time of the Custom House Commemoration that year? Conroy’s good wishes to Jim Slattery (Uncle of Commemoration Group member Dan Moore who kindly supplied the image). Eight years later James Patrick Conroy died in Stanton, California on 21 July, 60 years on from the Burning. He was aged 84 – a good bit older than several of his victims put together; and he had lived 20 years longer than the elderly Housekeeper he’d shot at the Custom House. James was not credited with active service during the War of Independence when it came to his pension later. But he did assist the IRA. On 23 March 1921, a crown forces raid on a shed he owned resulted in capture of a small arsenal of weapons, ammo & materiel. But James himself was not found, despite seven different addresses being raided. During the Civil War the elder Conroy assisted the anti-Treaty IRA and in his military pension application said as a result his sons & family turned strongly against him. He recounted that Jim had even led a Free State gang to his house to threaten him at one stage. James survived the hostilities and received a military pension for his 1916 activity only. He seems to have done fairly well, running a a garage business in Summerhill, Dublin and owning a large house of rented flats in Grant’s Row, off Mount Street. 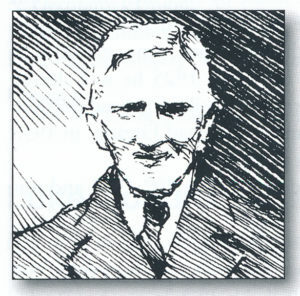 James Conroy Senior died in 1946. Undoubtedly the younger Conroy played a significant part in Ireland’s wars almost a century ago and, in today’s parlance, was a top military asset when you needed someone to pull a trigger. What he was allegedly involved in later cannot change his place as a 1916 veteran and key player in the War of Independence and Civil War. However, those events in 1923 must colour his legacy. Sadly, he was not the only player in the Tan War to go off the rails or to fall foul of the law when the new Irish state finally got some control over violent crime and lawlessness after the Civil War. Such ex-IRA men were, of course, in a very small minority (and all crown forces were not always law-abiding either). As the references quoted above show, Jim Conroy was well regarded by his Old IRA comrades for his IRA service. When he was in big trouble over a serious crime some of them apparently closed ranks, hid evidence or turned a blind eye and may even have helped him flee Ireland. If there was a cover-up and a reluctance to prosecute Conroy, that is hardly his fault. However, guilty of murder or not, his flight from justice does stand against him. If parts of Conroy’s story make a Reader feel a bit uneasy, even horrified, or think he got away (literally) with murder – it is worth saying he was never convicted of any crime. There may be strong suspicions about him, but he remains “Innocent until proven guilty”. After all, that is the mark of a democracy where we enjoy some measure of right to natural justice. Exactly what Jim Conroy and his comrades fought for in an environment of fuzzy moral codes and dodgy – if any – higher direction. Conroy was a young man of his times and place. A hardened soldier in a militarised society with a struggling political, civil policing and legal system. He was a survivor of terrible events and witnessed many deaths. Some he inflicted himself. Others involved the horrible ends of close comrades almost at his side. He was not alone in such experiences, but seems to have reacted differently to the vast majority of his comrades and may have lost any moral compunction against killing. With the end of the Civil War Conroy, like many Collins men, became disillusioned with the direction of the Free State and quit its army. Even under Dev’s more republican government in the 1930’s he aligned himself with a party on the fringes of democracy, the quasi-military Blueshirts, not exactly a bunch of boy scouts or an organisation to admire. Either he had strong political beliefs or was attracted to follow strong leaders, like the tragic Collins and then the flawed O’Duffy? Finally, there is absolutely no doubt Jim Conroy took a number of human lives during IRA military actions. Some killings were specifically ordered, two were in the heat of the moment in a war. A distinction should be drawn between those and the 1923 shootings. Yet some modern-day historians and commentators would treat them all equally, tarring Conroy as a psychopathic gun-slinger for each and every killing. That seems seriously unfair; after all soldiers like Conroy are sent out to kill their opponents in wars whether we agree or disagree with the objectives. And Conroy was an effective IRA soldier who seems to have had no difficulty in using lethal force. In fact he might be regarded as trigger-happy, even in the company of the Squad. However, condemnation of his alleged involvement in shooting innocent civilians is another matter entirely and is fully justified. If he did those killings, it was cold-blooded murder and that cannot be swept under the carpet to protect the reputation of a former freedom fighter. As the murders of the innocent Messrs Goldberg and Kahn were never solved or judged by a court, there remains much strong circumstantial evidence to cast a dark shadow over Conroy’s legacy. So, is it fair to call Jim Conroy a born killer who didn’t know when to stop? Or is it right to forgive his later actions as those of a soldier conditioned to kill and not reined in by his masters? Or should he be commemorated as a hero of 1916-1923, full-stop? Or pitied as a fallen hero who committed two foul murders later under the effects of PTSD? It is a moral minefield which the writer will not venture to enter! But needless to say, you the Kind Reader are totally free to make up your own mind about Jim Conroy, “the wild chap”. To end on a lighter and more glamorous note, the Conroys weren’t all about guns. There was chiffon too! In 1958 Eileen ‘Cindy’ Conroy (1931-2013) represented Canada in the Miss Universe competition. She was a niece of Jim’s through his younger brother Richard who had emigrated in the 1920’s to Canada and later moved to the USA. Sadly neither of the ladies in the photo made the semi-finals. Jim’s niece Cindy with the Mexican contestant Elvira Leticia Risser Corredor at Miss Universe, 1958 (Courtesy of ancestry.com member maryh1936). “He is a grand old fellow; he is the father of the wild chap….” (WMSP34REF743JamesConroy, p 43). Well done again for a well researched, accurate and impartial article. Keep them coming. Excellent, balanced research and article Des. Cheers Peter. Thought you might enjoy something about the bould Jimmy! Who is the writer? This is my family and I’d like more info. Thanks, btw. Your account on Jimmy Conroy was very thorough. How did you come by your information and what led to your interest in him. As it happens, I became well acquainted with Jimmy as a consequence of researching the Irish War of Independence for my MA in history at Loyola University Chicago. Most of my research involved talking to old IRA veterans, including Vinny Byrne and Jimmy Slattery. (The photo at Sallins was taken at Jimmy Slattery’s house.) I first met them in the summer of 1973, shortly after Jimmy Conroy’s visit; and Vinny gave me Jimmy’s address. At the time, he was living in Long Beach, and my hometown is San Diego; so I drove up and made his acquaintance. I had several taped interviews with him over the course of the 70s. Whenever I came back from a trip to Ireland, I showed him photos taken with some of the old crowd, e.g., Bill Stapleton, Frank Daly (Paddy’s brother), and General Emmett Dalton. I heard snippets about the shooting of the two Jews; but nobody wanted to go into detail, and I never asked Jimmy about it–some things are better left unsaid. Jimmy’s daughter Ann wrote me when Jimmy died, and I passed on the news to Vinny Byrne. His son Eddie lived in Chula Vista, a southern suburb of San Diego, and informed me of Jimmy’s new address when he moved to Stanton. Let me know if there’s any other information I might be able to provide you with. Thanks Lorcán, glad you enjoyed the story. Will send you a pm about the McGrath brothers. Thanks for the comment, we’ll check with James. However, I believe Jimmy worked at his old trade, painting. Off the top of my head, the original Sqaud O/C Mick McDonnell also left for the USA during hostilities on health grounds. I reckon Gary can confirm if any others did. Update – we believe they were the only two who went Stateside. PS – Update: Checked with James McCormick who agrees with our conclusions above. He added that Jim Conroy also had his military pension payments.